These clips are taken from various debates that Protestant Reformed Baptist Elder Dr. James White has done with Catholic apologists: Art Sippo, Justification, 1991; Patrick Madrid, Sola Scriptura, 1993; Tim Staples, Sola Scriptura, 1996; Gerry Matatics, Sola Scriptura III, 1997; Robert Sungenis, Papal Infalibility, 2000. There is also a clip taken from EWTN’s Journey Home w/ Patty Bonds, 2002…. It’s goal is to portray the common Protestant doctrine of Sola Scriptura as a “tradition of men” as our Protestant friends are so often fond of describing Catholic doctrine. Also, it is supposed to point out the inconsistent use of “tradition” James White uses to define doctrine. I do not expect anyone except debate junkies and apologists to really understand the gist of the montage, but it was a lot of fun putting it together. Today I will be on Relevant Radio’s Morning Air at 8 AM to talk about Martha. 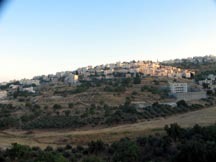 She lived with her brother Lazarus and her sister Mary in Bethany where Jesus lived when he was in the Jerusalem area. You can listen at www.RelevantRadio.com. Click on the picture of Bethany for a larger image. It is much bigger now than in Jesus’ day. 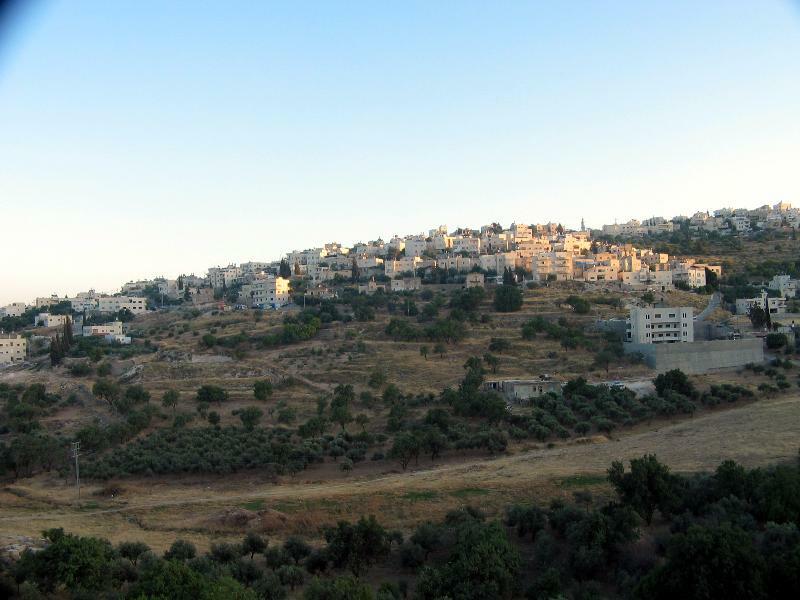 Today it is an Arab town called El-Aziriye, after Lazarus. It was the home of Lazarus, Mary and Martha. 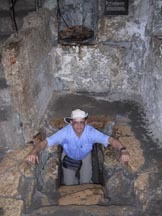 The other picture is of me coming out of Lazarus’ Tomb. We will be visiting this tomb in June and November 2009. Click on image for a larger picture. This demonstrates again that the Bible is historical and accurate. The places mentioned in the Gospels still exist. On our pilgrimages we visit, touch and pray at these sites. You can be proud to be a Catholic and confident in the Bible and the teaching of the Church! To see these sites on DVD, get our Jesus, the Word Became Flesh where we visit Bethany and the Tomb of Lazarus. Just finished my talk on “Jesus, the Moses of the New Kingdom.” It was very well received. It was a great Defending the Faith Conference. On my way home. Will catch up on blog on Monday. Guess which one is NOT protected? At 6 PM Eastern I will be on The Catholic Guy show with Lino Rulli on Sirius Satellite’s Catholic station. Then it is off to Steubenville to speak at the Defending the Faith Conference this weekend. 2 Year-old Grandson Quoting Scripture – too cute! National Catholic Register put a picture of me coming down the Wall of Damascus in a basket on the cover of this week’s issue. I recently gave an interview with Tim Drake, the senior writer, and they published the article with pictures. The title is AUTHOR FOLLOWED PAUL’S FOOTSTEPS … LITERALLY. AGAIN – Steve is on Catholic Answers Live Tonight!